Effective odour control from Vectair. 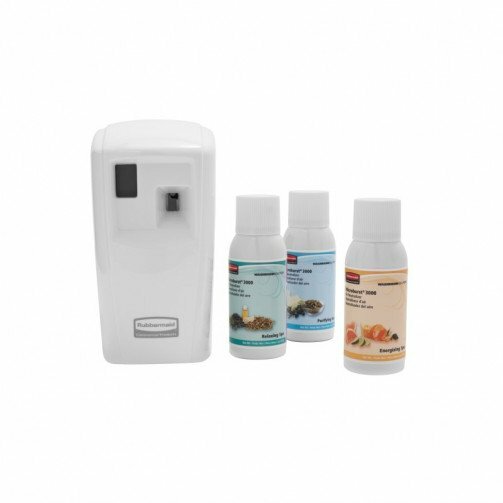 A wide choice of fragrances is available for use with this system. The popular Microburst dispenser is a cost effective odour control system which can be set to suit your environment. Its flexible programming options include 12/24 hours per day and 5, 6, or 7 days per week. 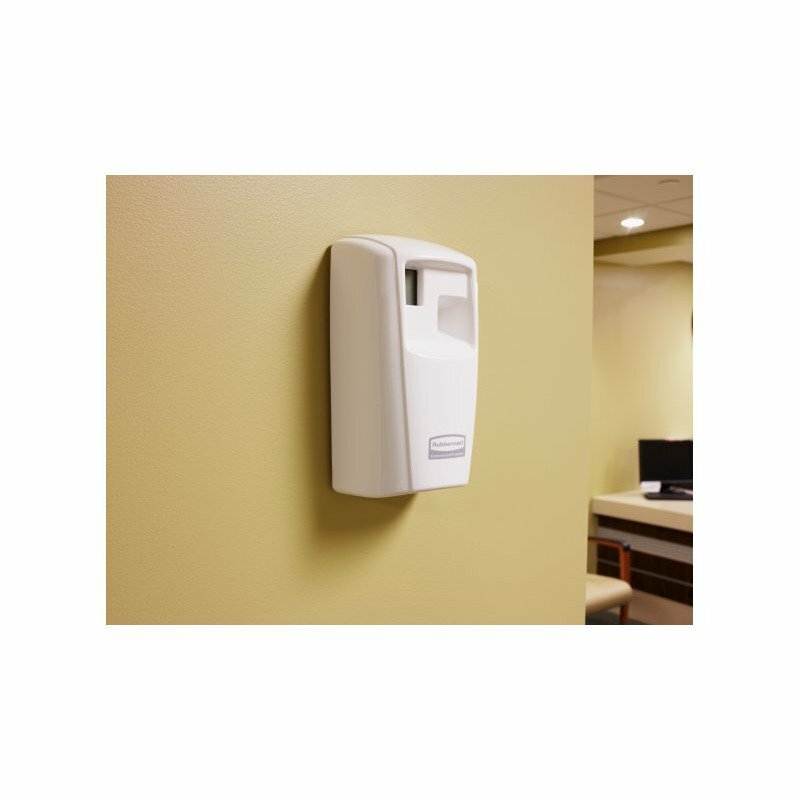 Sleek, compact high-performance aerosol system in half the size of standard dispensers. Running on just two batteries that will last for a minimum of up to two years, one unit will keep an area of up to 168 cubic metres fresh and odour free. 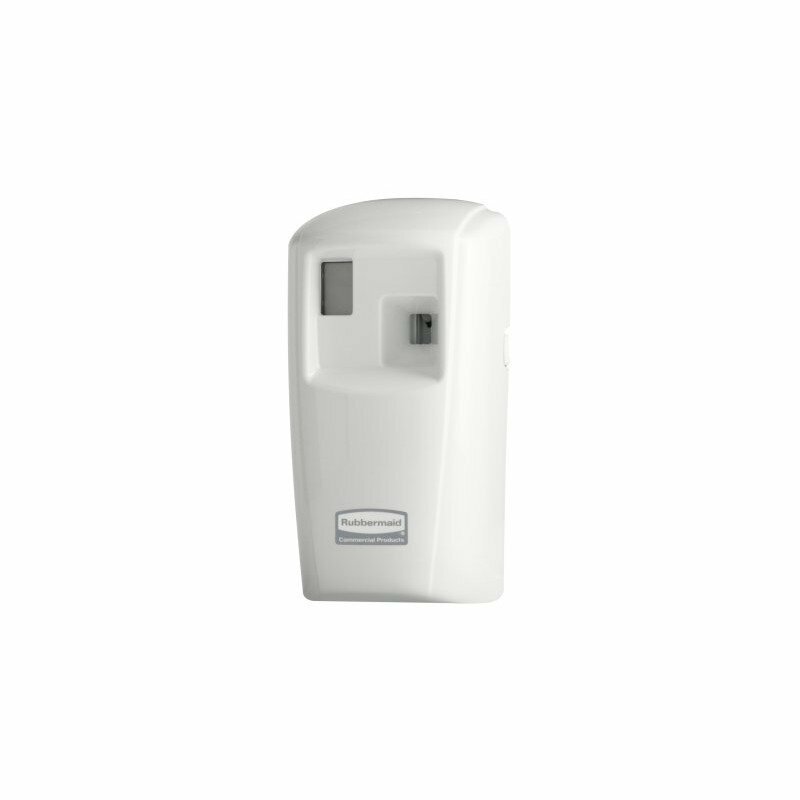 Whatever the programme setting of the automatic aerosol dispenser, each refill will always deliver a total of 3,000 metered sprays. Battery Life: 2 C-cell batteries that last up to 3 years. Programming: 8/12/16/24 hours, 5-7 days per week. Size: H: 18.29cm W: 7.62cm D:74mm. Microburst dispensing technology: provided full impact odour control in one compact system. Three times more odour neutralising fragrance molecules are released automatically and continuously, dispensing further and staying longer in the air.